This program is designed to make girls more aware, prepared, and ready for any situation that may occur in your everyday life on any given day. These 15 days classes are free of cost, taken by a female trainer near KC Hall. 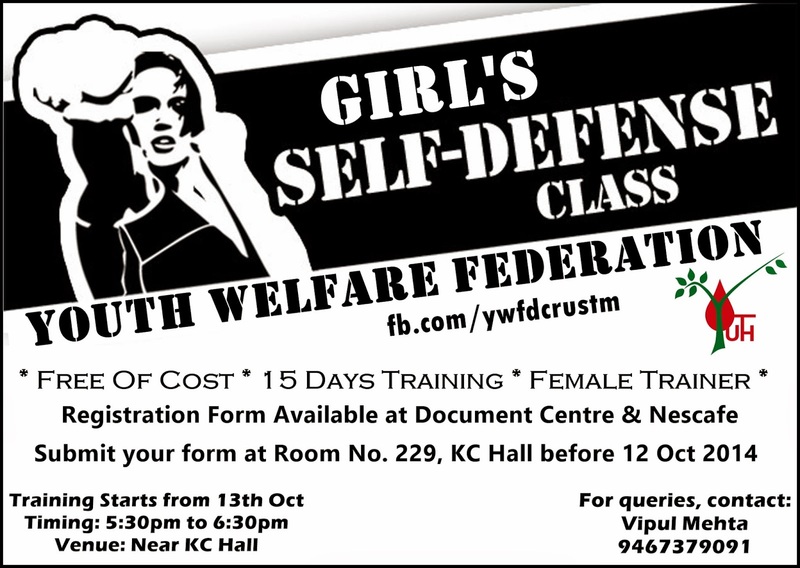 Training Starts from 13th Oct.